Vehicle batteries can degrade over time or become damaged, and if you think there’s anything wrong with your battery, it’s very important that you test it to find out what the problem is and how to rectify the problem. 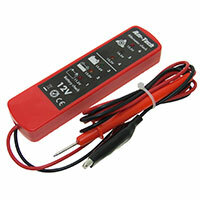 With the range of battery testers in the Euro Car Parts range below, you can do just that. If you're having trouble starting your car or the engine keeps cutting out, and you’ve tried a battery charger but it isn’t doing the job, a battery tester should be your first port of call. With any one of the battery testers in the range above, you'll be able to instantly identify what the problem is, whether you need a new alternator, battery or both. 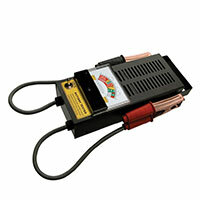 Take advantage of our wide range of battery testers to help you make sense of the issue. Take a look through the full range now – we stock home and professional-grade testers for all sorts of uses – and enjoy speedy delivery all across the UK for free, or choose click and collect to pick up your tester from any of the hundreds of Euro Car Parts locations across the UK and Northern Ireland.